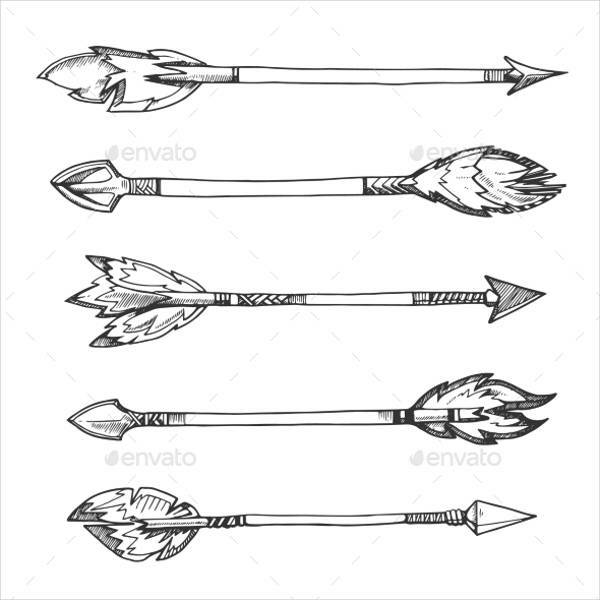 Arrows are commonly used as a symbol in various projects and also for commercial purposes. 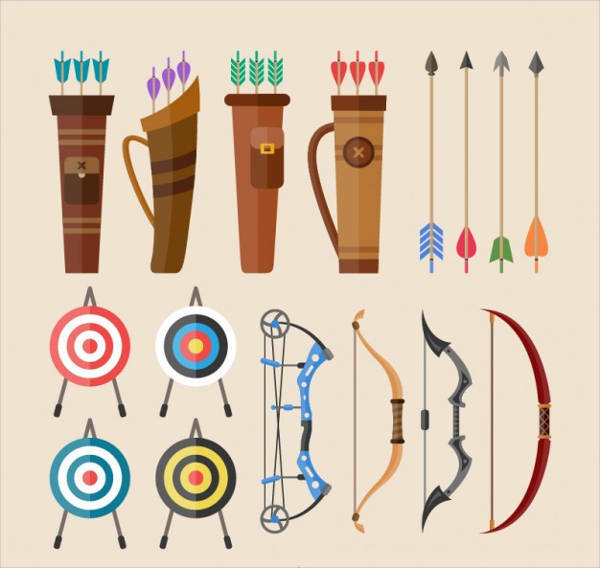 You can access thousands of free arrow icons in a number of colors, sizes, and shapes online. These set of arrow symbols are also to be used in art and design as they have been created and designed professionally. 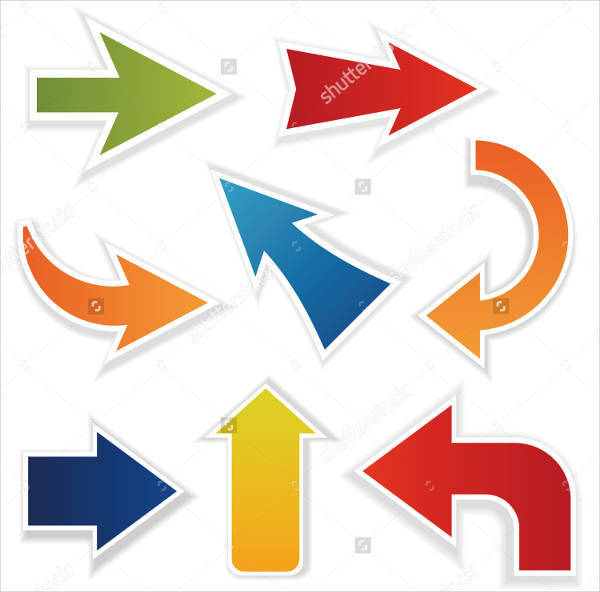 Arrows are also used for signage boards and wayfinding, whatever your requirement is, you will find a set of arrows collection in several websites online as discussed below. You may also see Free Vectors. This is a set of vector arrows in different colors such as red, blue, yellow, green, pink and orange. It contains different forms of arrows such as an arrow pointing in a direction, a down pointing arrow, 3d arrows etc. You may also see Shield Vectors. 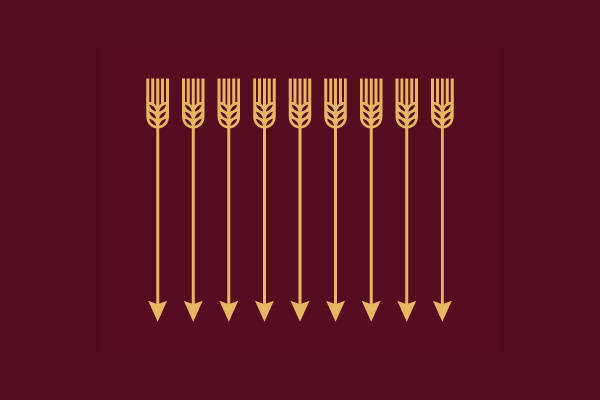 This is the grain arrows collection which is drawn with a long thin string and a fork like an arrow design. It is a vector illustrated arrow collection design and can be used for any commercial project. You may also see Metal Vectors. 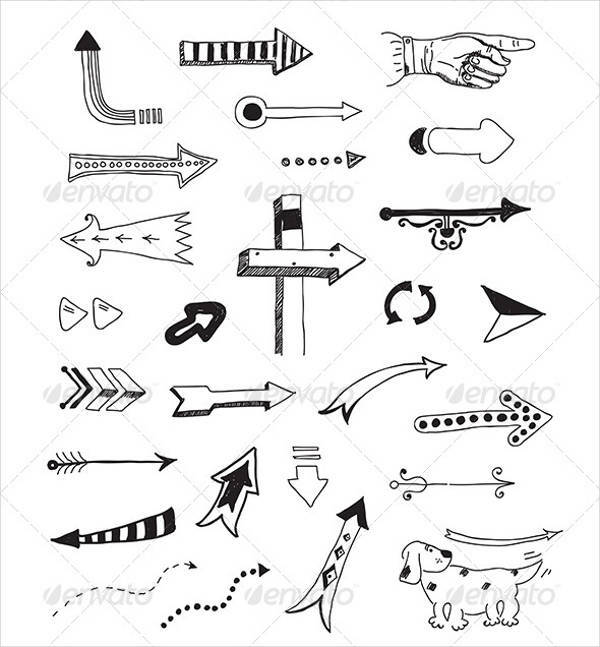 This is a large collection of vector illustrated arrows designed by the website. They are available for free download and can be used in any project as per your requirement. This set of 26 arrow vectors may be used for presentation and the like. These are designed in a unique style with the help of vector graphics. Arrow representation of graphics has been created with JPG image, vector EPS, and illustrator. 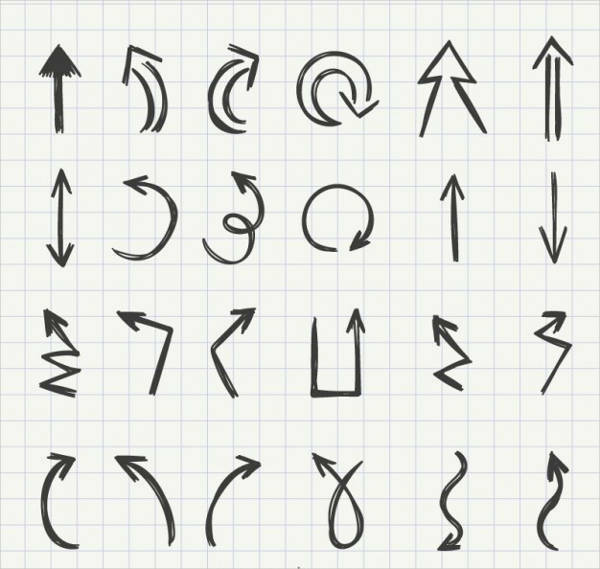 These are a collection of tribal arrows which are available for online download and are also editable. You can edit the color, size or shape of the arrow as per your requirement. 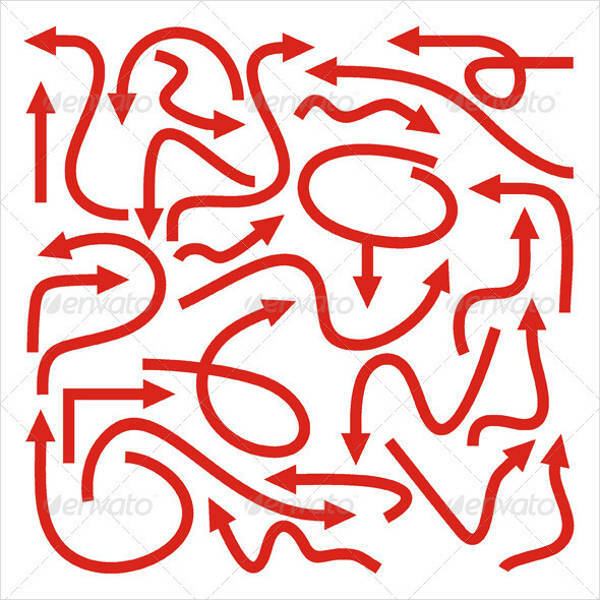 This is a single arrow vector in red design with high-resolution graphics. This arrow’s direction is facing upward and is colored in a bright red hue. It can be incorporated into any project. These are different arrow vectors, each containing a unique design and print of its own. 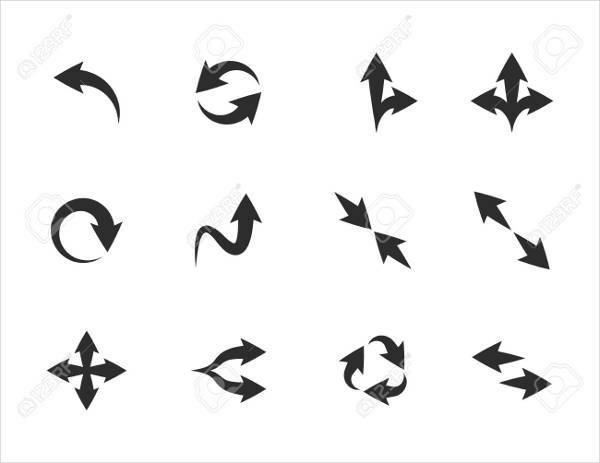 These set of arrows are hand-drawn and a vector illustration of doodle arrows that can be effectively used in web designing projects. These arrows have been created with the help of Photoshop and are hand-drawn. These are also edited using Illustrator for a clean and sharp look. It has been uniquely designed with proper measurements. 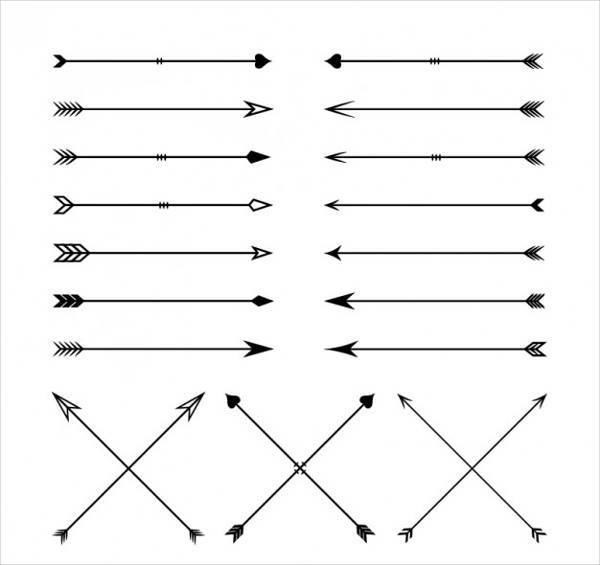 This is a collection of arrows designed using vectors. It contains arrows of different shapes and colors that are pointing in an upward and downward direction. It is a set of 8 arrows collection. 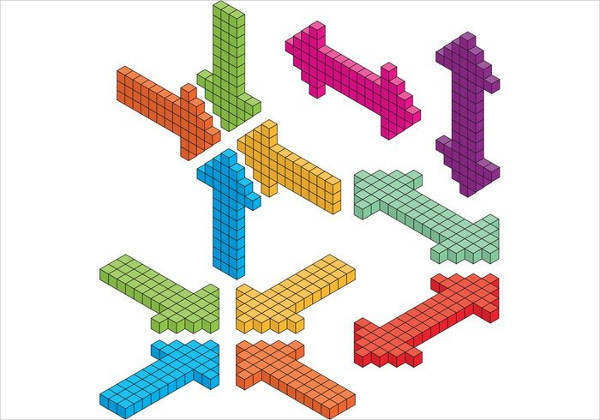 These isometric arrows are three-dimensional in nature. 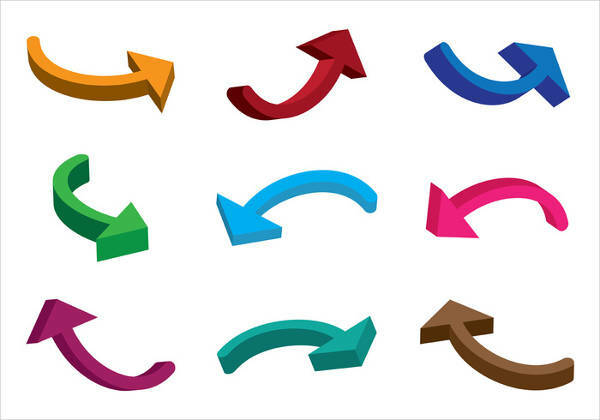 With several different colors and forms, these vector illustrated arrows are also in various directions. These can be used for representing volume and 3D effect. 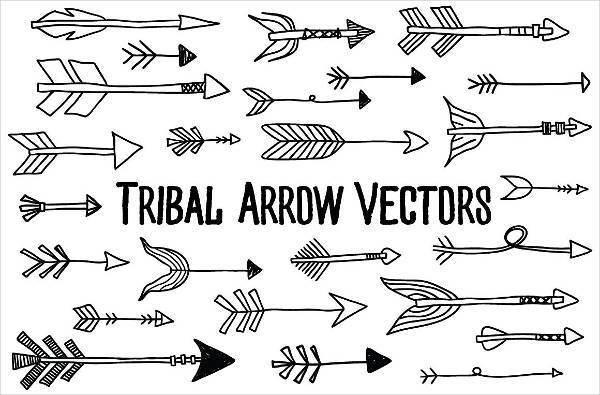 This is a graphical representation of Tribal arrow vectors in an ancient Indian origin style. These are vector illustrated and hand-drawn containing decorative elements in a boho style. 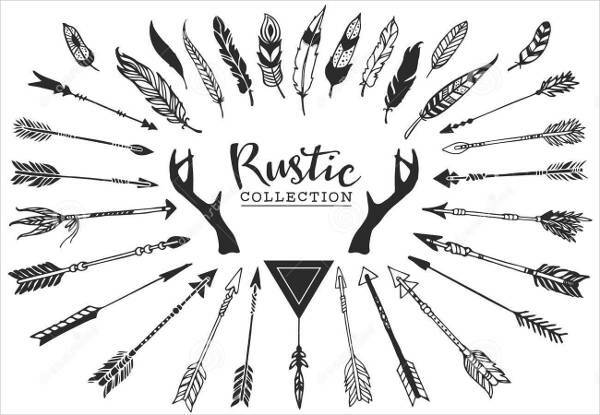 This arrow vector set is a collection of rustic antlers, arrows, and feathers which are designed in a vintage style. These are hand-drawn designs illustrated with the help of Photoshop. 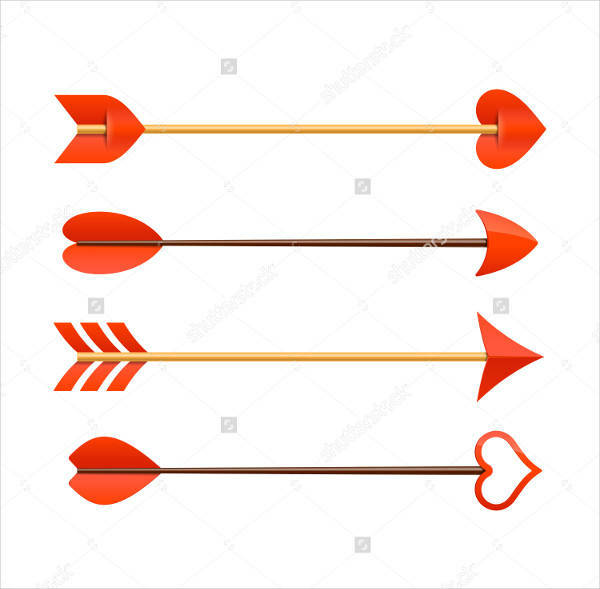 These set of 4 cupid arrows are designed with the use of high-resolution images. They are four arrows in a bright orange color and each one of them is different in terms of the design and structure. This is a single arrow in a bold and black design. 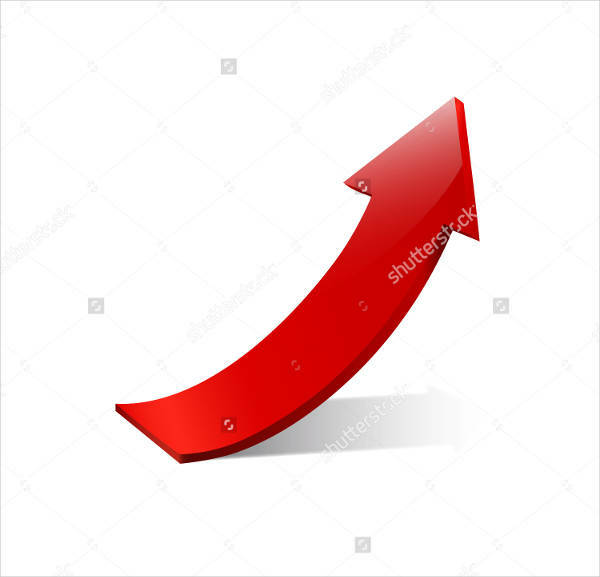 This arrow is a vector illustrated graphic and is a large arrow pointing downwards. 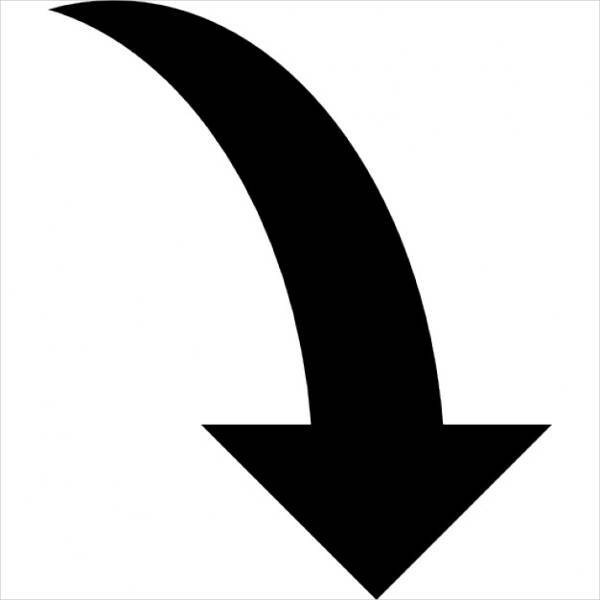 This curve arrow down can also be edited and changed as per requirement. This vector is a graphic representation of hand-drawn arrows set can be downloaded for free. 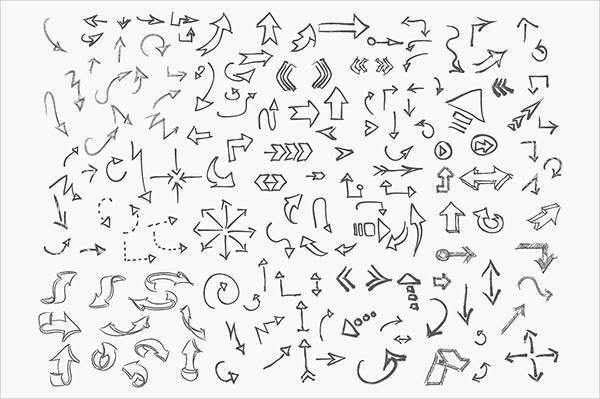 It contains 150 different styles of arrows which can be used for any commercial project. Arrows that are illustrated from Vector and Photoshop are highly used in commercial projects. 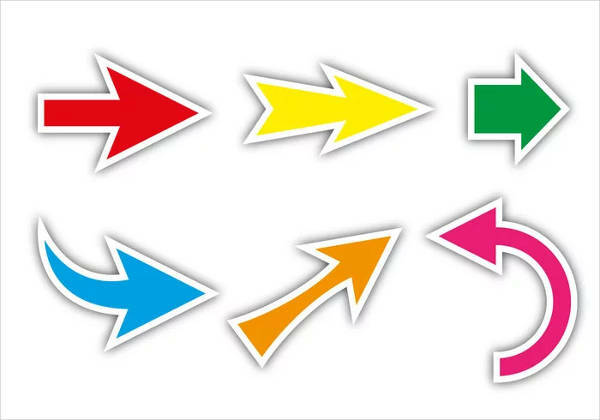 These different arrows may be used in signboards, billboards, wayfinding etc. They are also used in books for which they are in popular demand. You can download a set of vector arrows online. Some of them are even available for free. However, you can also purchase arrow designs online. You may also see Circle Vectors. Arrows are designed and illustrated using vector graphics and one can incorporate the same in several commercial projects. You can check out the above websites for different styles and designs of vector arrows.